When you look at what past visionaries thought things would be like today, the predictions range from laughably ridiculous to eerily accurate. 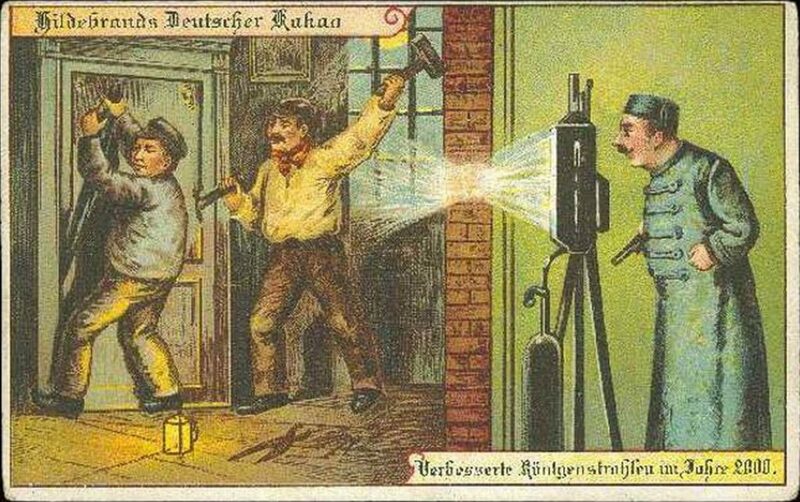 Between 1899 and 1910, a few French and German artists created a series of paintings depicting what they thought things might be like in 2000, an already distant era. 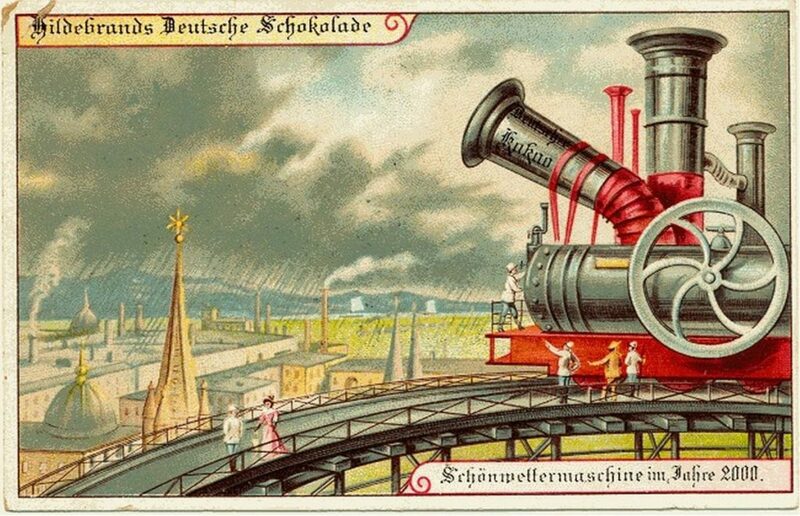 The paintings were originally printed on paper cards enclosed in cigar and cigarette boxes in France and with Hildebrands chocolate in Germany. Here’s a look at what predictions they got right and which were wrong. Right. 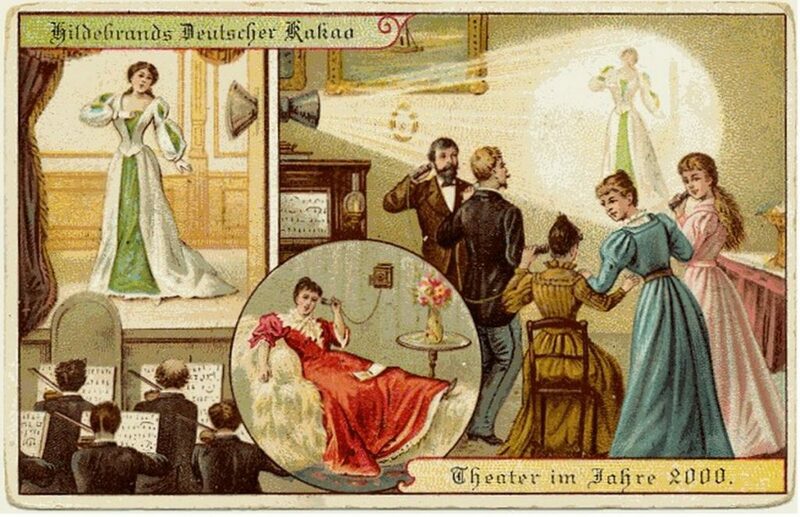 In 1900, the idea of sitting at home and watching a projected theater performance took some imagination. 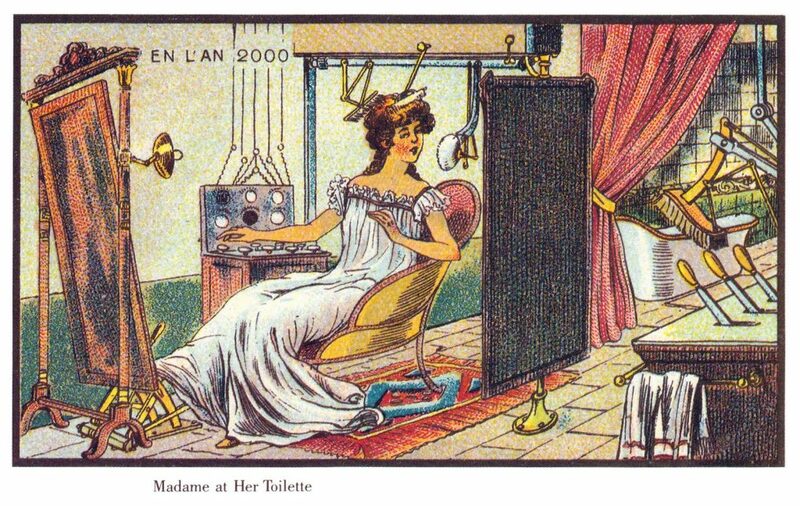 After the television was invented in 1927, it was only a matter of time before performances — though now primarily athletic or musical — were broadcast in real time. The home, rather than public spaces, became the center of entertainment thanks to the shows and movies available on the screen. Right. By the year 2000, anyone could record their voice with a simple tape recorder. 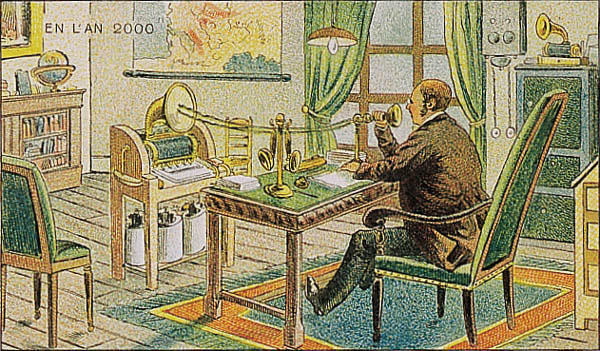 Dictation computer programs were available, though not used by the masses. Today we not only use our phones to dictate text, we get irritated that it’s not correct 100 percent of the time. Wrong. Somehow this pastime never took off. 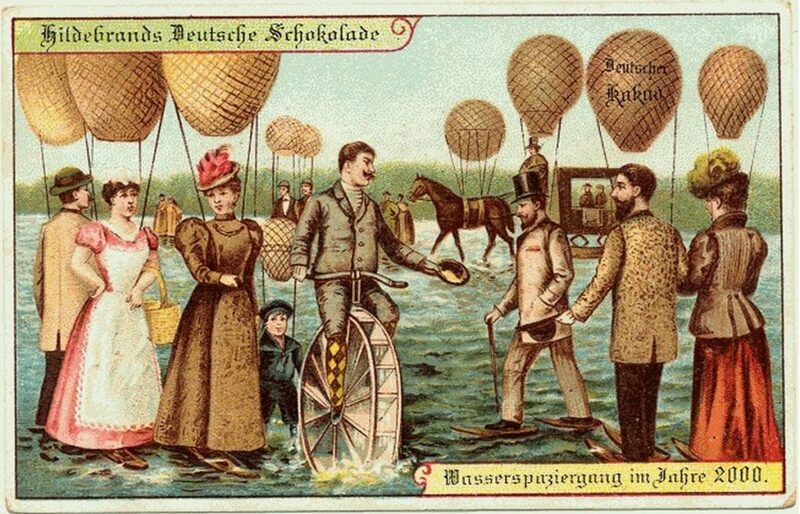 We waterski, we paddleboard, but so far we don’t walk leisurely (or ride in horse-drawn carriages) via balloon on the water. Sort of. Devices that see through walls haven’t hit the mainstream market, but anyone who’s serious about surveillance has access to a wide range of security cameras, drones, infrared vision and other technologies that are near equivalents. Wrong. We’ve not yet managed to control the weather, though some say the science that will allow us to create clouds is not too far off. Wrong. Or is it right? 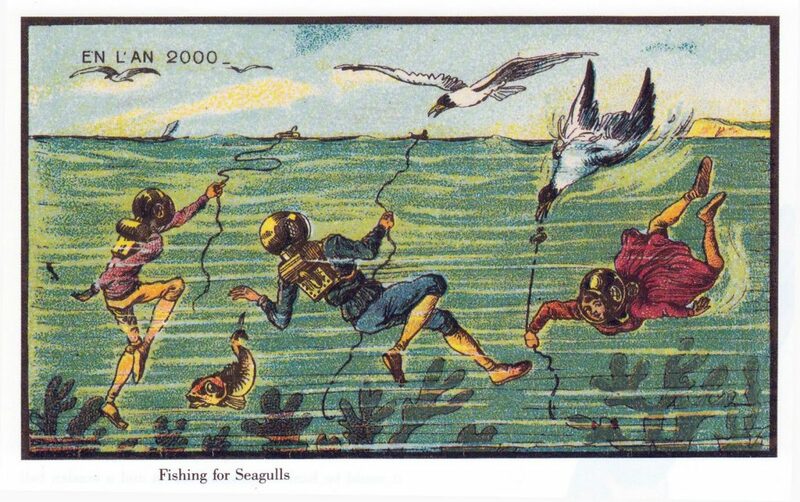 Technically, a person could don scuba gear and fish for seagulls in this manner, it’s just that none of us do. Right. 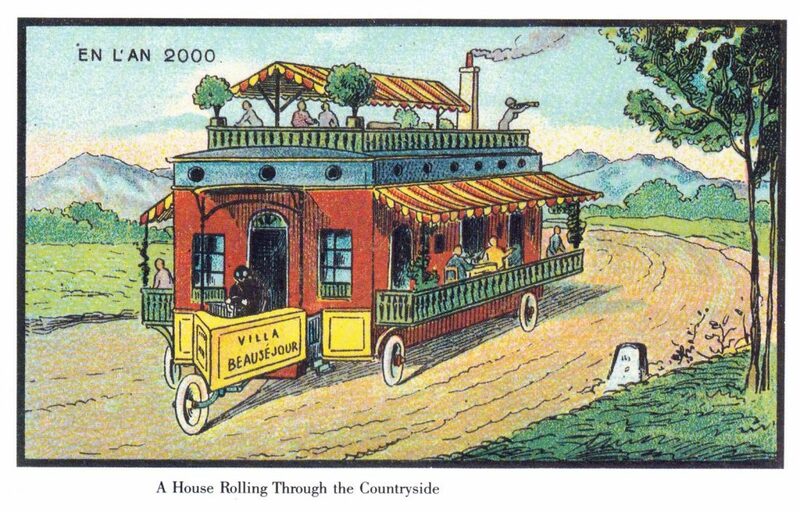 Though not quite to the scale depicted in the painting, motorhomes of today mean you can take the modern comforts of home wherever you’d like. You just won’t be able to host a dinner party for 20 guests while on the road. Wrong. All of us still fix our own hair and apply our own make up. 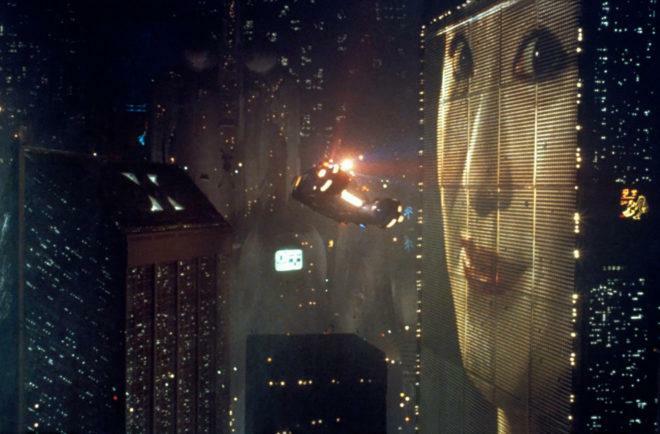 And we must not mind — beauty robots aren’t a modern fantasy. Right. 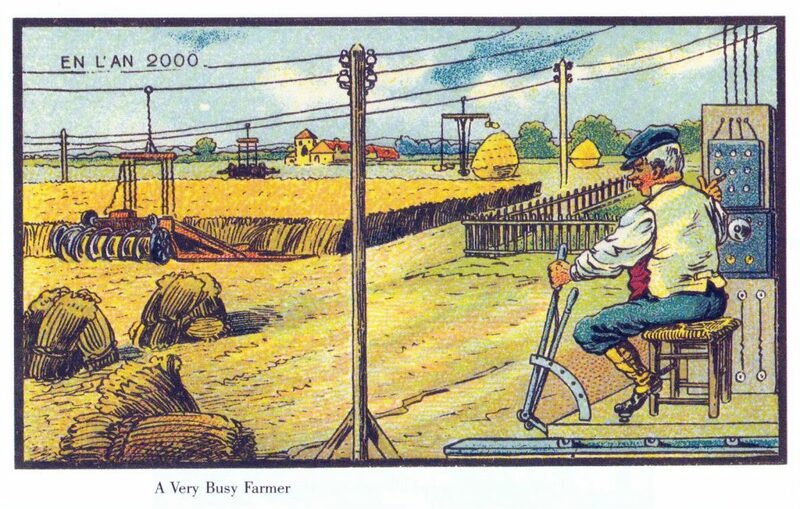 Farmers work as much or more today as they did 100 years ago, but the task involves more sitting and machine operation than farmers of yesteryear could have imagined. Right. Yes, we travel to distant lands by plane. 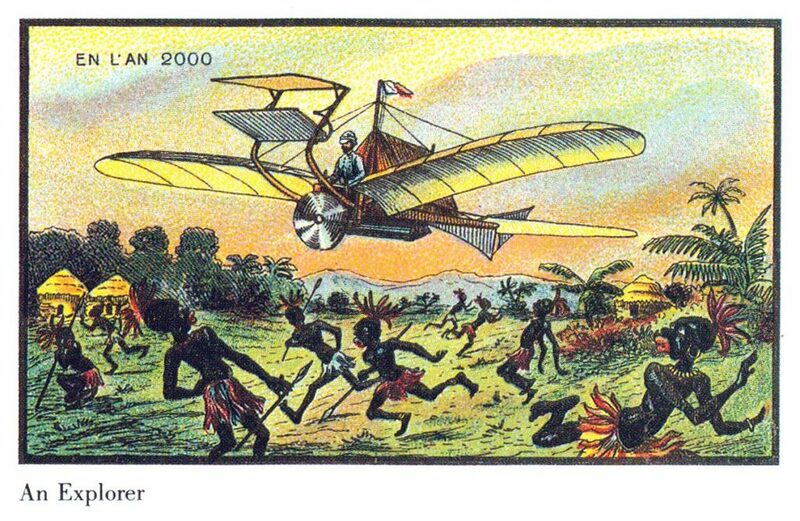 What the Victorian artists did not foresee, however, was the effect of colonization on the individuals and cultures in these lands or that their depictions of these people would be vilified today as racist stereotypes. Right. 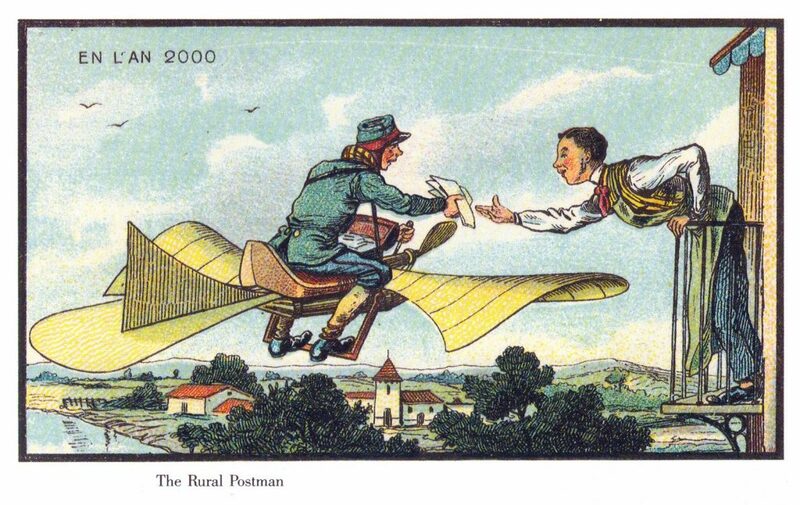 No, our mail isn’t handed to us through the window by a flying mailman. Instead, we go to a box with a screen and receive it wirelessly moments after it is sent. Wrong. 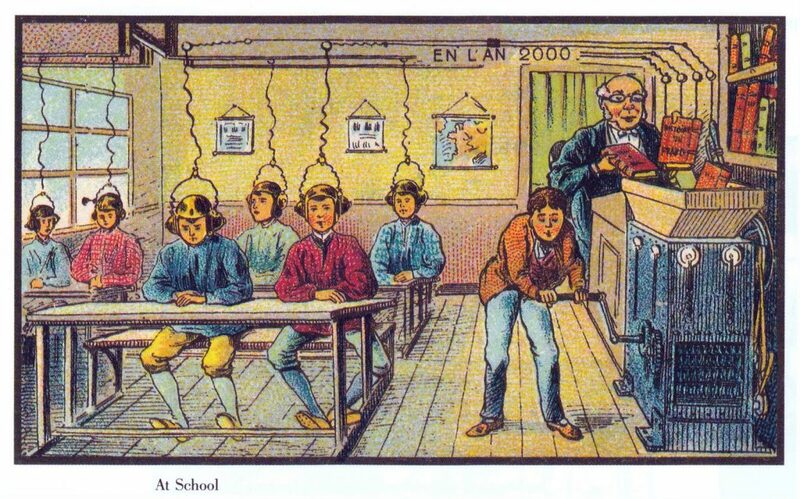 To the disappointment of school children everywhere, we have not discovered a way to automate the learning process. Wrong. 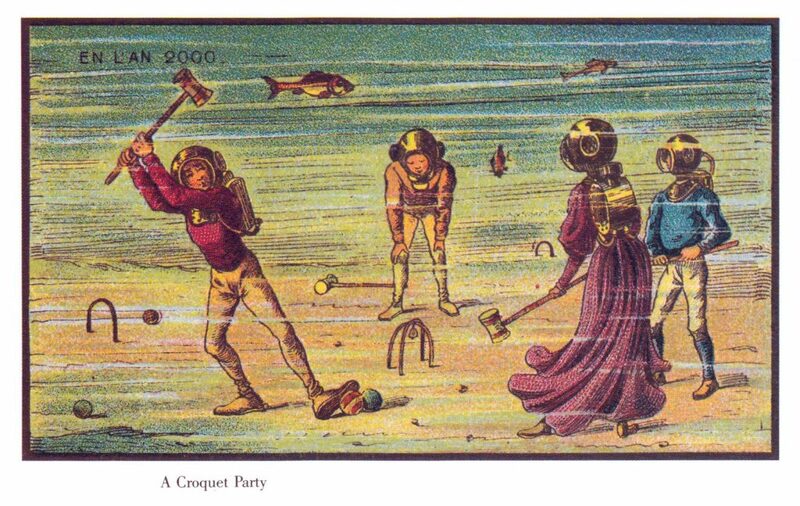 Once again, those in the Victorian era seriously overestimated how much time we would want to spend underwater or playing croquet in the future. Sort of. 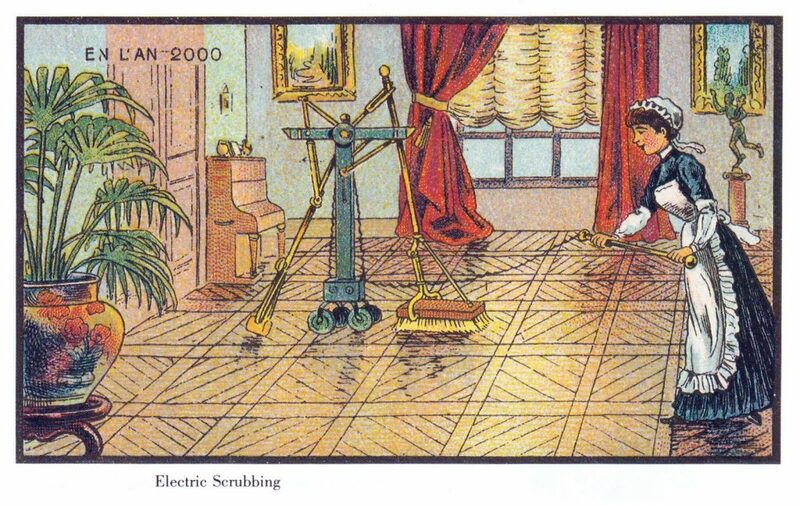 We’ve got robot vacuums, automatic dishwashers, washers and dryers and cleaning conveniences galore, but most cleaning tasks still need to be done by an actual human.